Juvenile assault and battery charges are usually the result of a fight at school, at a sports facility or other setting where children congregate. The decision on whether or not to press charges may come down to the word of the victim and perception of the arresting police. Your child may not even have started the fight that led to his or her arrest. There are defenses to assault and battery charges. One is self defense or defense of another person. If your child has been unfairly charged with a crime, our lawyers can hire investigators and obtain witness statements to tell your child’s side of the story. If your child is a first-time offender, he may be eligible for a number of programs such as Teen Court, in which you could get the charges dropped. Our founding partner, Bill Umansky, is actively involved in the juvenile court system in central Florida and currently serves as a judge in the Orange County Teen Court program and on its board of directors. Our goal is not just to defend your child, but get your child the help he or she needs so that problematic behavior does not continue. Our juvenile lawyers in Orlando will work hard to ensure that the focus stays on rehabilitation and defense, not on punishment. 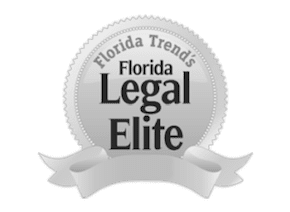 To schedule a free initial consultation with a juvenile law attorney at The Umansky Law Firm, contact us through this website or call (407)228-3838.